Green Harvest is a successful project situated on the Kraaifontein Avon-De-Rust farm owned, by a retired farmer. The farm owner allocated a seven hectare piece of land, which he leases to Vulindlela May and his wife who are very keen farmers. This couple grew up on the farm and have an excellent agricultural background. 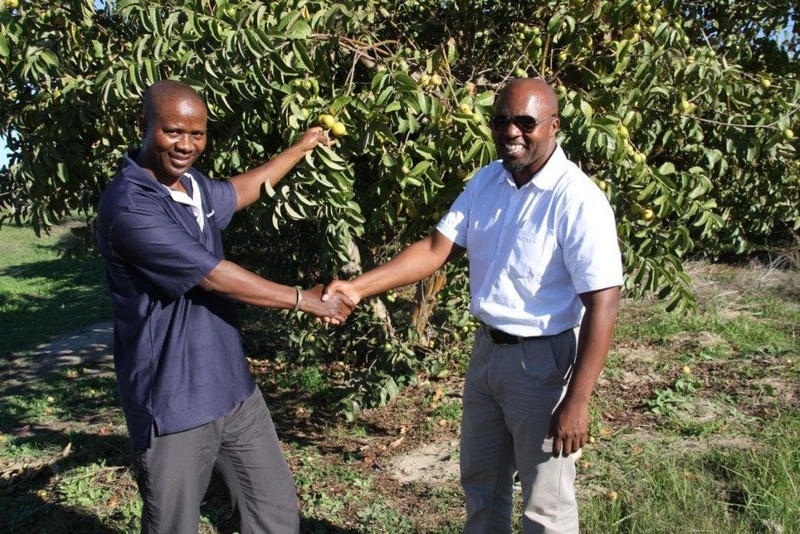 Both of them are now the proud owners/beneficiaries of the Green Harvest project, which was established in 2014. Since inception, this farm has produced tons of carrots, spinach, baby marrows, green beans and guavas. Their first harvest in 2014 was a great success, as they produced 11.2 tons of green beans, 15 tons of baby marrows, 17 tons of carrots and 40 tons of guavas. Crops harvested are supplied to the local markets around the townships, Kraaifontein, Durbanville, Bellville and Cape Town. According to May, he likes the local market because of its stable/fixed price as opposed to the bigger market. In terms of job creation, the farm is operated mostly by seasonal workers. More than 20 (up to 80) seasonal workers are employed during the planting and harvesting seasons. Although 3 hectares of land are in production, more land is currently being prepared for the planting of cabbage and carrots. Approximately 32 000 seedlings of cabbage will be planted and there will be a need to employ between 60 to 70 workers to do so. Green Harvest has demonstrated a very high potential for success because their crops are in high demand. “We are currently busy negotiating with big commercial markets, who want us to supply them with produce, some contracts are already signed and our day-to-day challenge is to keep up with the supply to make our clients happy”, says May. Despite all their farming success, theft remains Green Harvest’s biggest challenge because the farm is situated close to the community townships. In an attempt to minimise this, full-time security has been appointed. “Although we are managing this well, it will be better if our farm can be fenced in”, says May. May said, “I would like to thank the WCDoA and Casidra for supporting us with the funds to procure implements such as a tractor, truck, irrigation systems and production inputs. We also extend our gratitude to the officials, Soyisile Ntombela from the Department and Cynthia Lebenya from Casidra”.